There is growing recognition that migration-management strategies may prove more effective if they include expanded legal migration opportunities. But while origin and destination countries have often partnered to facilitate the movement of low-skilled workers in fields such as agriculture and tourism, far fewer partnerships focus on middle- and high-skilled labor migration. As populations in many destination countries age, and qualified professionals in some origin countries struggle to find employment in sectors such as nursing, new opportunities for cooperation are emerging. The negotiation of the Global Compact for Safe, Orderly, and Regular Migration has spurred new thinking about what such partnerships might look like in practice—including how to ensure migration is beneficial to both migrants and their employers, and a positive force in the development in origin countries. The compact advances a new model that may be able to overcome the obstacles that have plagued past partnerships, from high costs to dwindling employer engagement. This policy brief examines the new model of skill partnerships, as compared to more traditional ones. Crucially, instead of recruiting already qualified professionals, which raises concerns about human-resource depletion in developing countries, this next generation of skills partnerships would focus on training prospective migrants in their countries of origin, alongside peers who may never seek to migrate. This approach, the brief finds, holds significant promise but will require smart thinking about key questions of program design, cost sharing, and diaspora engagement. III. 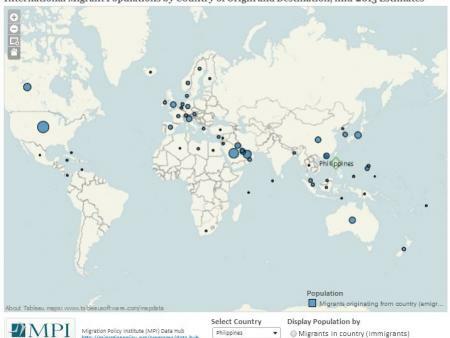 How Can Partnerships Encourage Skilled Migration? IV. How Can Partnerships Ensure Development Benefits? "At the heart of this conversation lies the question of how to facilitate skilled migration in a way that ensures benefits for all parties involved: destination countries, countries of origin, and migrants."